Chainwheel Drive has generously offered to SAG our 2019 Ride 4 the Animals. Mike from Chainwheel Drive is a longtime Florida resident and Suncoast Cycling Club member, with a rich history of racing and subsequently excellent bike knowledge. Whether it is in finding just the right bike to fit your riding style and budget, keeping your bike in great working condition or trouble shooting an irksome repair, you can always rely on Chainwheel Drive. Thank you ChainWheel Drive for providing the BIKE SAG for this years ride! We appreciate you! Cycling enthusiast and Animal Advocate, Laura Hoffman, moved to Florida in 1989 and discovered surroundings of unmatched beauty and a new way of life. She works real estate the way she lives her life– Passionately! As one of Tampa Bays Leading Real Estate Teams, the Hoffman Team has the knowledge, insight & experience to make your next move a complete success. Family owned and operated, Crabby Bills brings you the finest local Seafood and Crabs, the family is proud to serve fresh seafood and they even make their own yummy key lime pies. Join them after the beach at the out door bar and relax with live music. A vacation spot for locals to enjoy! Animal lovers at heart, each year Crabby Bills provides space, tent and water in front of the restaurant for the cyclists PIT STOP. Advantage Pet Center offers the best in Boarding, Doggie Daycare, Grooming and Training. They have large, open-air play yards that encompass almost one full acre. 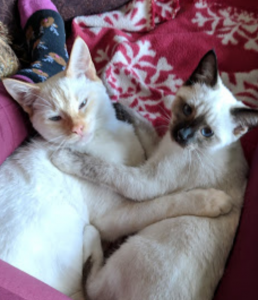 All of the staff members are completely and passionately in love with animals and every dog and cat that boards is treated with the utmost care and love. Visit the center in Largo or call for more info 727.544.2459. Advantage Pet Center will be supplying fresh bottled water to keep you hydrated before and during your ride. Thank you Brooke, our cyclists appreciate you! Animal Lovers at heart the Strom Family is joining the 2019 Ride by providing a yummy “Coffee Break” during Registration. If you need that extra boost before you hit the saddle. Join us during registration for hot coffee, fruit and mini muffins. The shelter pets thank the Strom Family with a wag of their tail and a gentle purr. 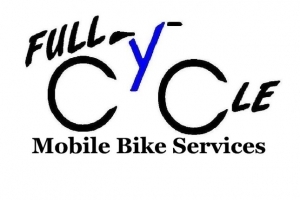 Full Cycle is a mobile bicycle repair service. When you simply can’t make it to a bike shop, Full Cycle can come to you! At home, at work, on the trail, Full Cycle is there for you. From flat repairs and minor adjustments to complete overhauls and suspension work Full Cycle can take care of you. Servicing Tampa Bay and surrounding areas. Bryan from Full Cycle will be on-site during the ride to assist you with your bike. We truly appreciate his extra support during the 2019 Ride. CAAM Events has been working with Ride 4 the Animals since 2015. Generously supplying the personalized Race bibs and outstanding marketing to help support our Ride. Caam Events supports a Tour Series of Events that gives the cyclists a consistent smooth experience. Paul Ricci, founder and president of CAAM Events is an active cyclist and you will see him Riding the Metric Century with us! Thank you Paul, we sincerely appreciate all you do to make our Ride better every year! We are actively looking for corporations or individuals who will sponsor the ride. Sponsors will be acknowledged on all the Ride website, Event T-Shirt and print materials.